Lynne uses an innovative approach in her work, bringing together her qualifications in psychology, screen, and business: using awareness, film and dramatic techniques, she opens up conversations. From a young age, Lynne has been drawn to the myths and legends of diverse cultures and has explored a number of creative roles in theatre and films. She continued to delve into culture and values in her Master of Business Administration, investigating organisational myths, business culture and the journey of lifelong vocation. Goddess Spirituality and the beautiful healing power it evokes. 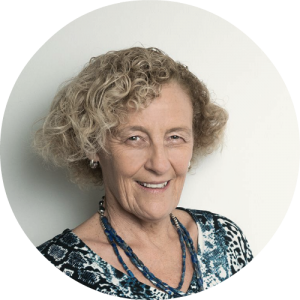 As a clinical supervisor and consultant for over 20 years, Lynne enjoys supervising curious practitioners from health, education, business, theatre and the arts. Some examples of her creative work include “Death, Dying and Ecstasy”, “Alive and Out There” and “Article 3”, a film which addresses fundamental principles of human rights. Lynne explores the diversity of marginalised people and lived experience. Her focus ranges from individuals to groups and socio-political concerns and crosses countries, cultures and hemispheres. Lynne is also an avid traveller and has explored many mythical places and sacred sites around the world. She would probably rather be driving through the Irish countryside, searching for the mountain where Halloween was first celebrated 2500 years ago. But she can have her conversations from anywhere, so don’t let that deter you. If you are interested in dreaming up a new life or deconstructing your childhood dream, Lynne is the creative force you need. Check out Lynne’s blog articles on dreams and on ways to celebrate yourself on Valentine’s Day. Seditious Intent – Lynne contributed two short films to the Festival of Sedition NSW Parliament House 2006 Sydney. The collection was a call to filmmakers across the country to respond in some way to the Australian Government’s anti-terrorism laws to provoke debate that leads to change. Death Dying and Ecstasy – a documentary film-based presentation exploring ideas around death and states of consciousness. Co-author of ‘Snapshot – Alive and Out There: Theatre addressing stigma around cancer in diverse communities in Sydney, Australia’ as published in Applied Theatre: Performing Health and Wellbeing, a volume addressing the role that theatre, drama and performance have in health and wellbeing in diverse communities. “Releasing our Professional Power- Australian Psychologists Embracing Society’s Challenges to Refugee/Asylum Seeker Trauma”. Professional Practice Forum (Paper #111), 49th Australian Psychological Society Annual Conference, 2014, Hobart. “Process Oriented Ethical Awareness: A Therapist Guide to Dreaming Power and Rank”. World Dreaming: World Congress for Psychotherapy, 2011, Sydney. “Driving Asleep at the Wheel: Process Oriented Leadership Awareness”. Spirituality Leadership & Management 7th National Conference: Leadership for the Emerging World, 2010, Sydney. “Death Dying and Ecstasy”. Arts-Based Education Research Conference, University of Bristol 2007, UK.